Basket Weave is the New Prom Hair Trend! 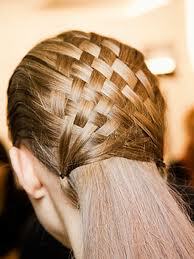 Basket weave hairstyles are highly requested this season! This is a an awesome style to show off some multi-dimensional haircolor! Check out this video to learn how you can start mastering this hairstyle at home! ← Rev-Up Your At Home Deep Conditioning Treatments!